Another Mojo Monday-challenge, this time an even 300. I hadn't played with my lovely KaiserCraft Sears & Son -clear stamp set yet, so here was a great opportunity! I stamped the old automobile on watercolor paper with black Versafine and distressed the edges with Rusty hinge and Vintage photo. 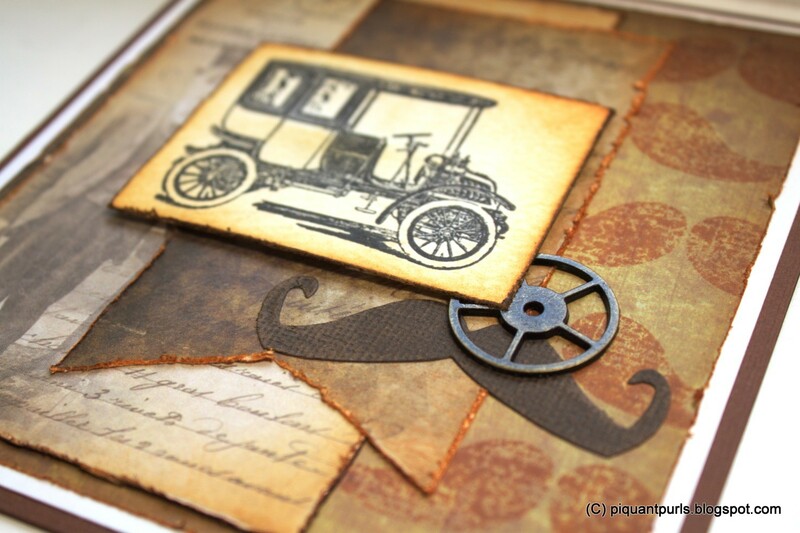 The papers are from Tim Holtz 12x12 French Industrial stack and from 7 Gypsies Off The Wall 6x6 stack. Added a movers & shapers mustache cut from left over Core'dinations and a gear from the Sprocket gears collection. 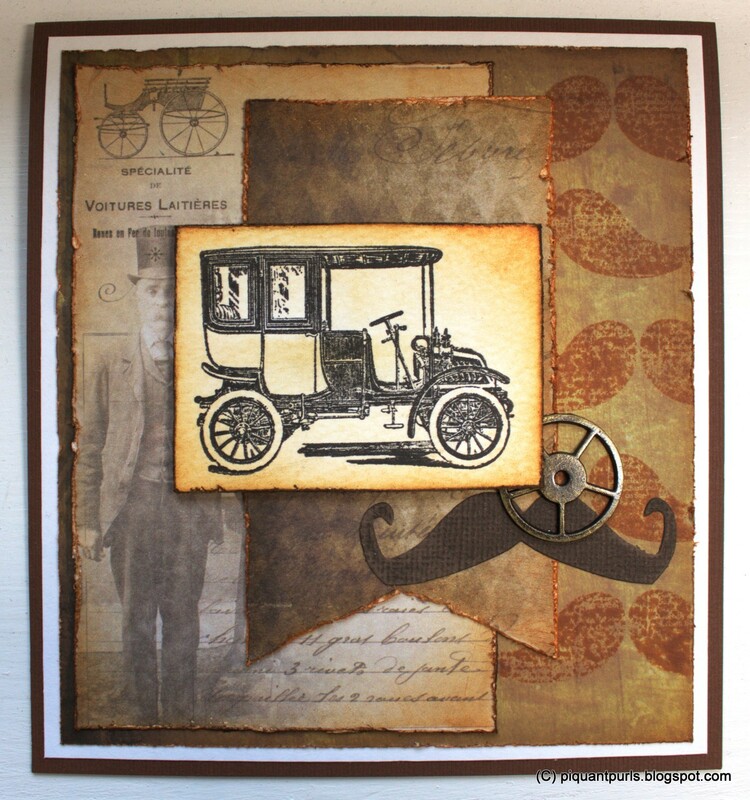 Tim Holtz - Paper Stash - French Industrial 12x12"
Such a great vintage feel to this card. Thanks for playing along with Mojo Monday 300!